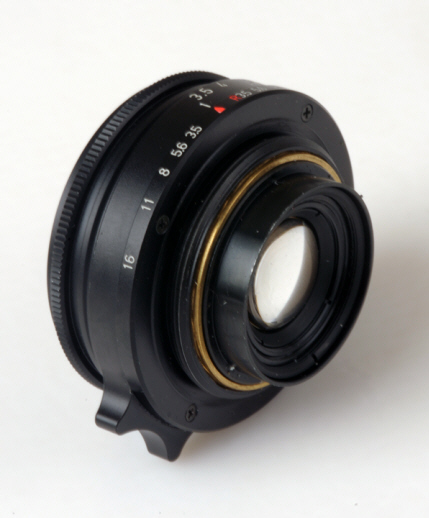 The tiny Japanese made Kobalux 28/3.5 Leica screw mount lens only weighs 4 oz with hood! It's nicely finished in chrome or black, with a convenient focusing lever. Filter size is 43.5. F/stops run from 3.5 to 16. Produced by YK optical in Yokohama, it is sold under a variety of names including Kobalux, Avenar, Bower and Pasoptik -- among others. Alas, Kobalux apparently ended production in early 2002. 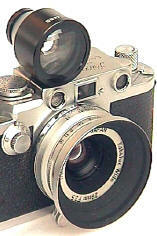 YK was reputed to be a very small operation, but its too bad they did not survive long enough to produce other interesting lenses. 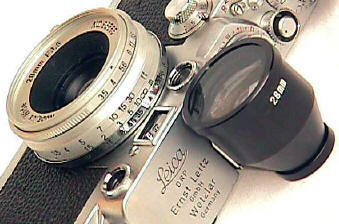 OK, it's not up to Leica quality, yet it gives reasonably good performance for a budget price. The Kobalux also has the versatility of fitting on either Leica Screw Mount bodies, or Leica M bodies with the bayonet adapter. Kobalux was alone in the bargain priced new 28's until the larger 28/1.9 Cosina Voigtlander lens was introduced, for not that much more money. 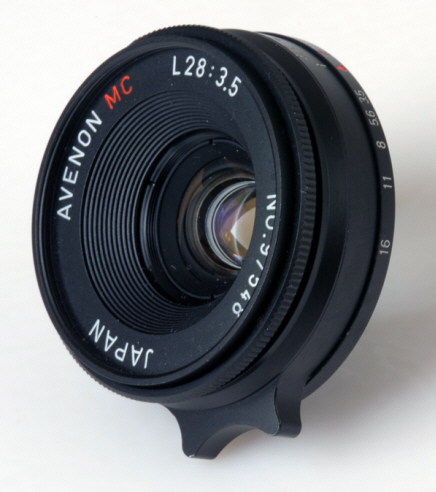 IF you need small, this is a nice 28 choice, but the Aspherical Voigtlander 28/1.9 is not only much faster, but probably sharper as well. Also included is the excellent but large Kobalux 28 bright line finder. 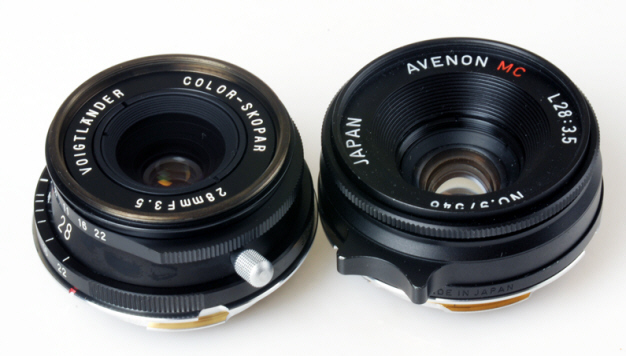 The much smaller 28 Cosina Voigtlander brightline is probably a better finder choice. These pics show the lens with and without hood. Revised: June 18, 2013 . Copyright © 1998- 2013 Stephen Gandy. All rights reserved. This means you may NOT copy and re-use the text or the pictures in ANY other internet or printed publication of ANY kind. Information in this document is subject to change without notice. Other products and companies referred to herein are trademarks or registered trademarks of their respective companies or mark holders.